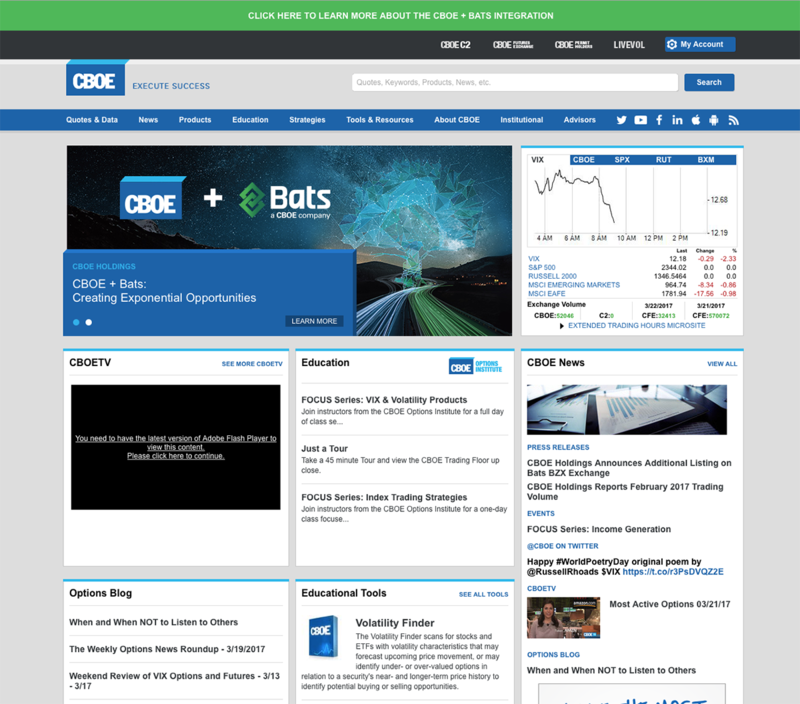 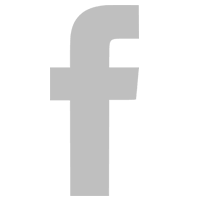 Since the 1970s, the Chicago Board Options Exchange (CBOE) has been a fixture of the American investment landscape as an options trading and investing pioneer. 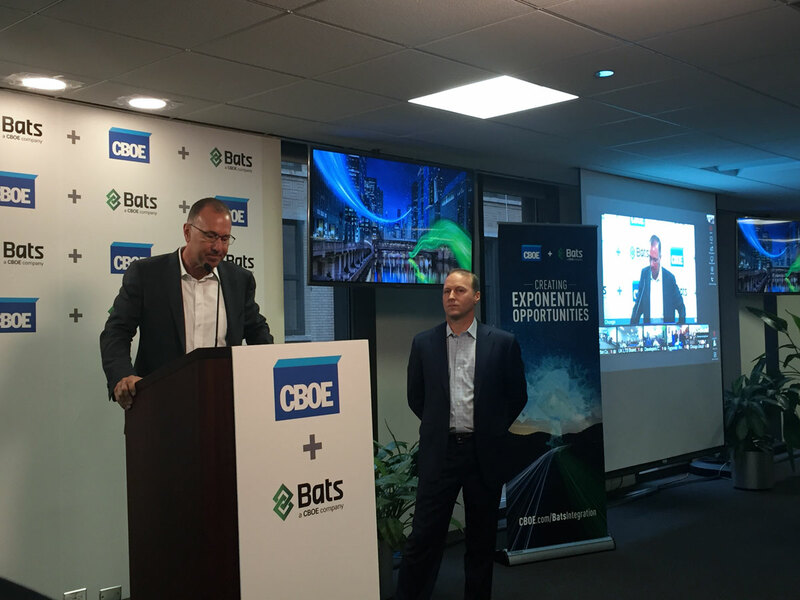 Meanwhile, Bats Global Markets has grown from a startup trading exchange in 2005 to the largest Pan-European exchange in the market. 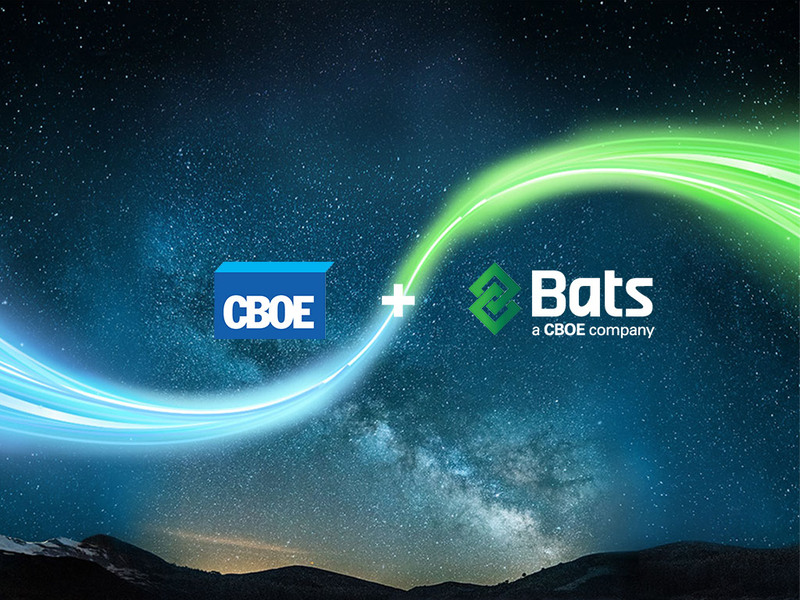 When CBOE announced the acquisition of Bats, we were tasked with creating a internal campaign that would represent their union and communicate the significance of the merged entity in the marketplace. 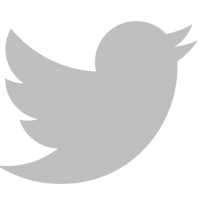 The new organization’s capabilities suggested potential far greater than that of their previous forms. 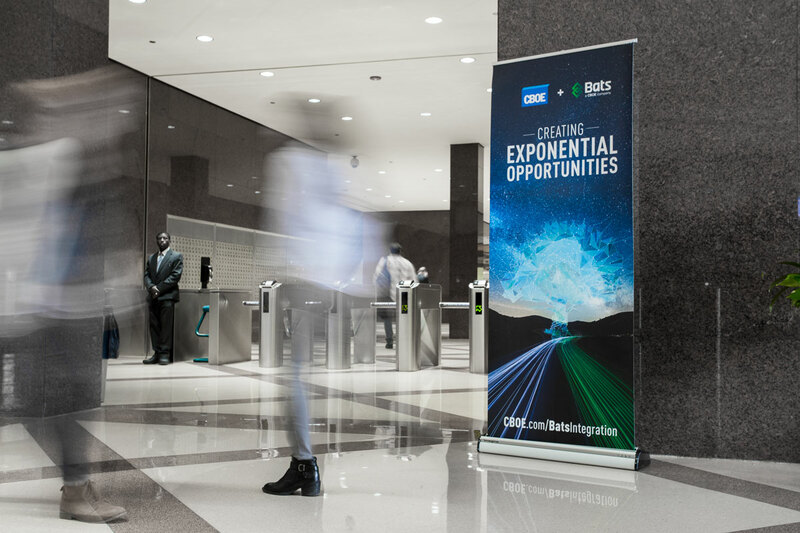 The new organization had expanded global reach and offered more products, asset classes, and investment opportunities than could have been previously imagined. 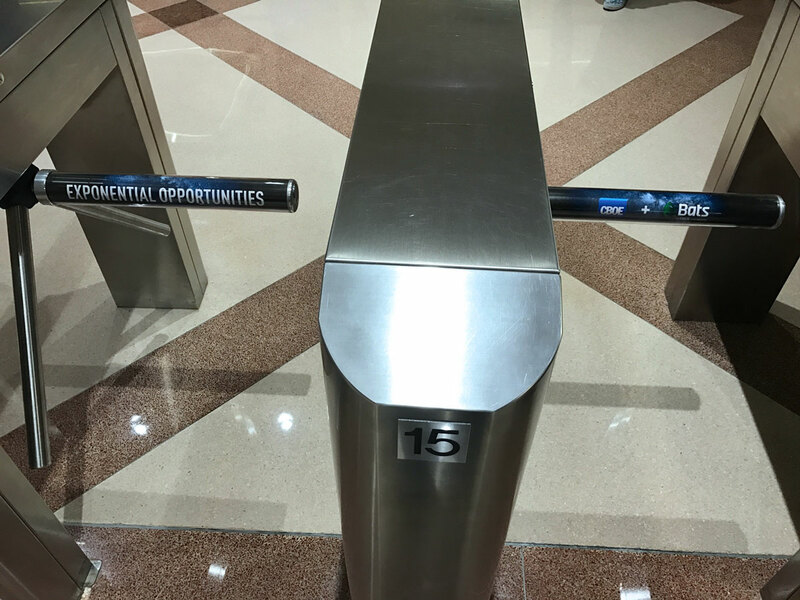 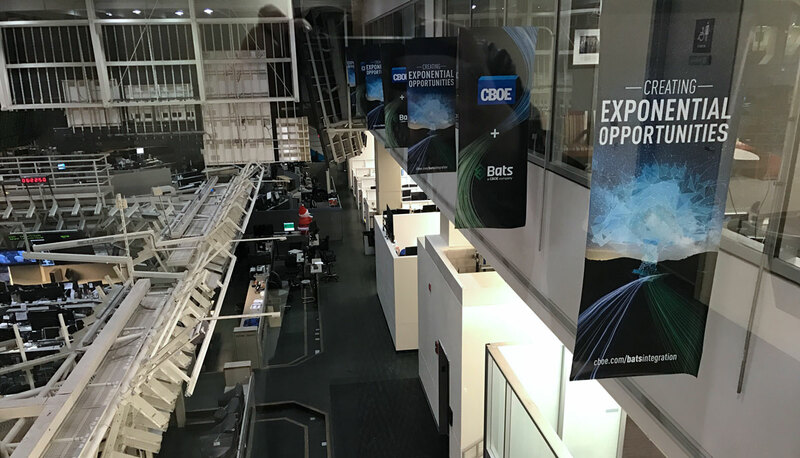 CBOE and Bats were ushering in a new era of “Creating Exponential Opportunities” –together. 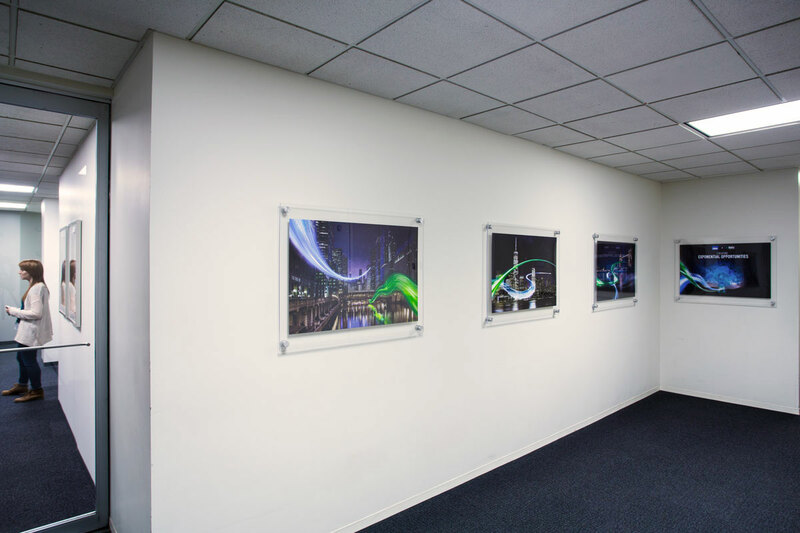 Fusion92 created central imagery that spoke to the theme of growth and opportunity. 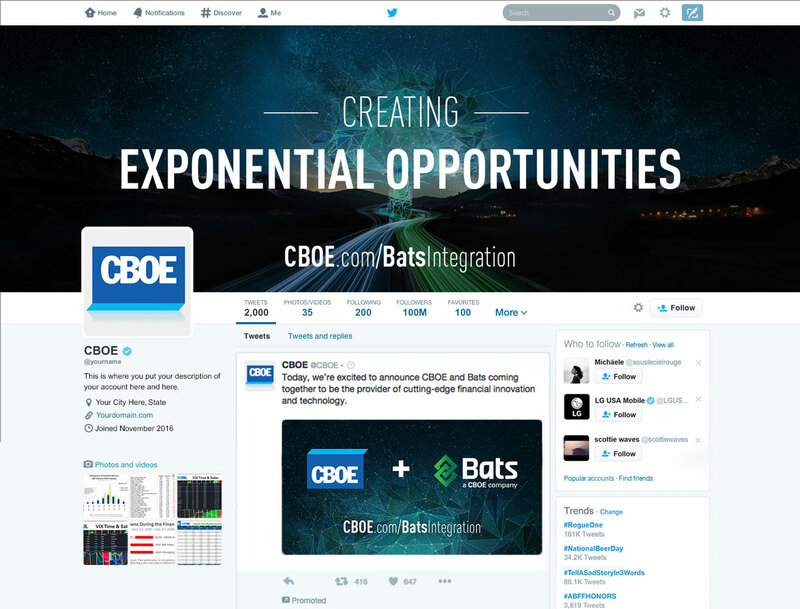 In particular, colored bands of blue and green light symbolized the blue of CBOE and the green of Bats merging harmoniously. 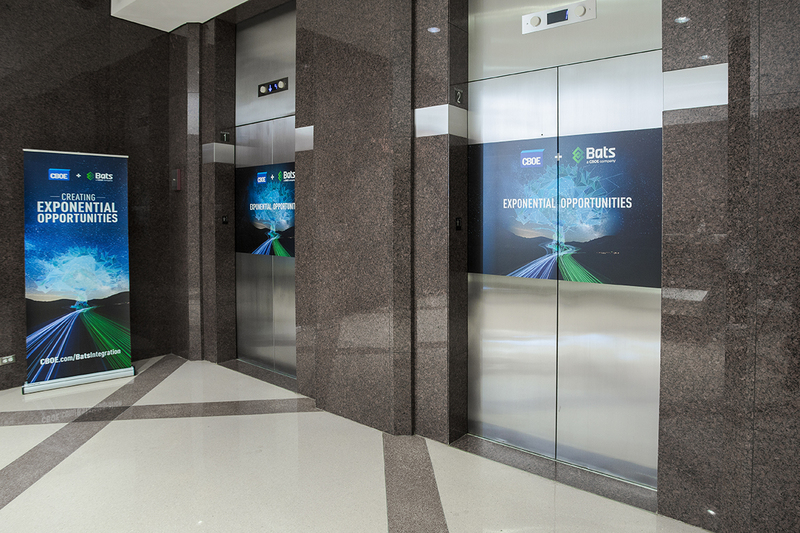 The body of work created included internal signage for their global offices, branding and identity guidelines, communications across owned web properties, social media, and employee materials. 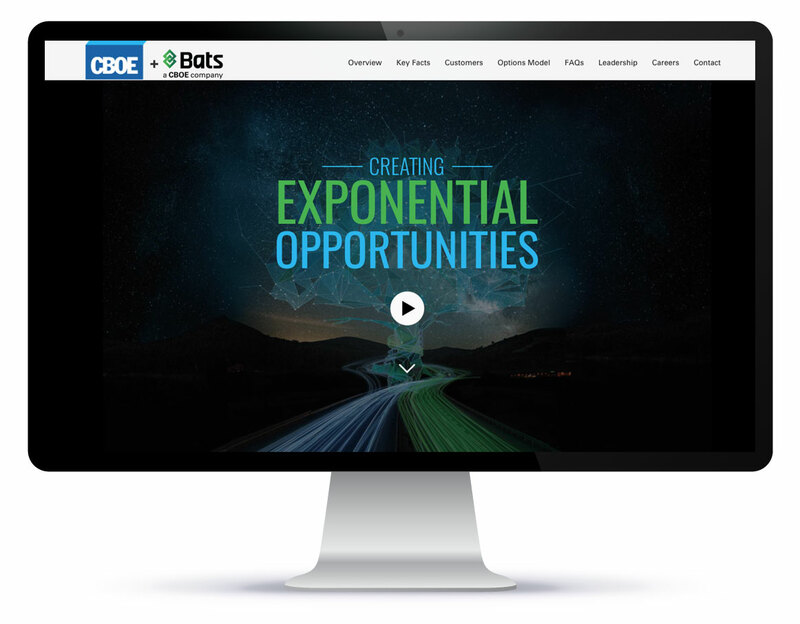 A microsite for the integration showcased an anthemic video and information for both the financial industry and employees. 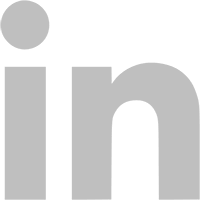 Response was overwhelming with local media coverage, financial industry coverage, and employee response all being largely positive.